I think we should've eaten this before all the other dishes. 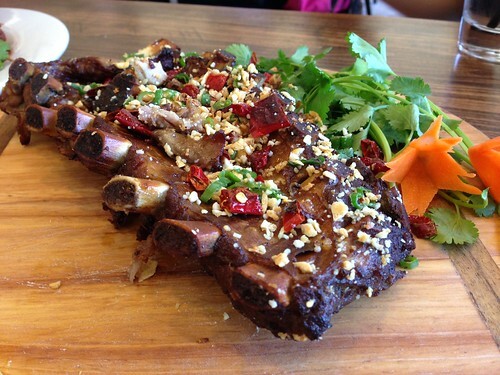 The meat on the ribs were tender and while it still tasted wonderful, it felt underwhelmed by the spicier dishes. 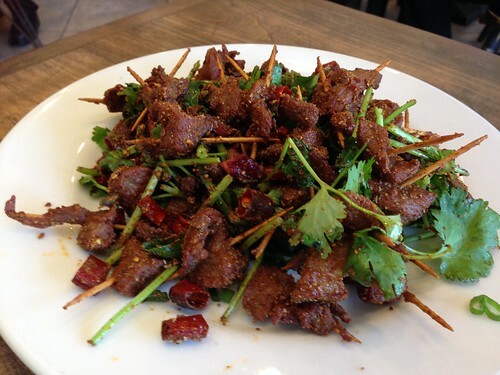 This cumin-crusted lamb cubes are one my favorites at Chengdu, but I think the ones here were equally good. 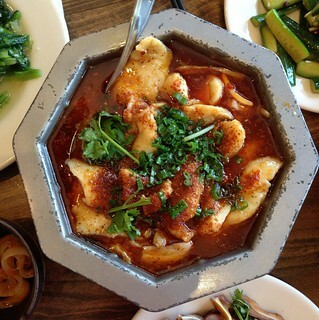 This is a dish you'll see at most Szechuanese restaurants. It's good at Szechuan Impression, but I've had better versions of it. 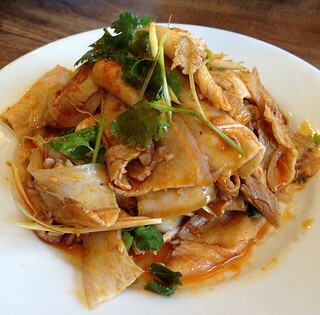 A similar dish to the garlick pork, but with beef, tripe, and tendon. 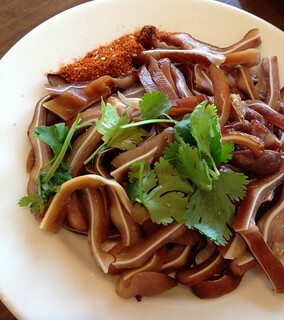 I enjoyed the tripe but the beef slices could be more tender. 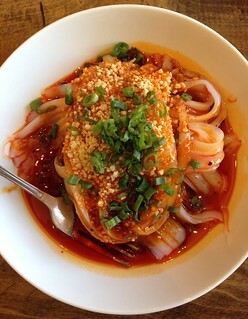 This dish took 20 minutes to prepare. I've never had it before anywhere else but the other people on the table said it's usually better (and better last time they were at Szehuan Impression). This one, though, had soggy and mushy coating that made me wonder why they even bothered to coat it in the first place. Luckily with so many other great dishes on the table, I can just move on to the next one. We really wanted to try the Bobo Chicken, which are skewers of various chicken parts in a pot of spicy broth. 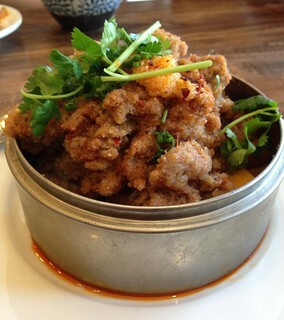 Apparently this is one of more contemporary Szechuan dishes. Unfortunately, this dish is only available for dinner and we came at lunch! Just another excuse to come back to Szechuan Impression. 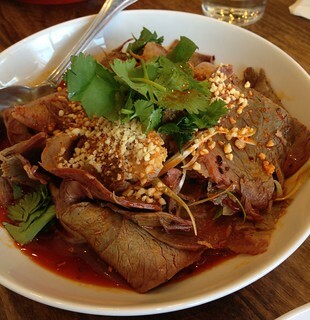 Read The Offalo's review of our same meal.